We are the best known manufacturer and exporter of the high quality of Continuous Rotary Hearth Furnace. 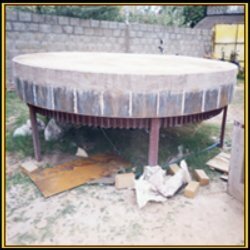 n order to cater the extensive demands we are offering our patrons a wide range of Continuous Rotary Hearth Furnace. These products are manufactured using high-grade raw material and advanced technology to ensure their adherence with international standards and norms and to ensure high durability and performance. Moreover, these products are available at very reasonable rate to our patrons in versatile models.